Cupertino-based Rancher Labs announced on Tuesday that it's added a new ingredient to its eponymous platform that promises to make some complex container deployments easier and more reliable. A just released preview of its Kubernetes management platform includes what the company is calling "support for multicluster applications" that provides...well, support for multicluster applications. A cluster is a group of computers connected to work as a single system. Running apps on multiple clusters is nothing new. High-availability requirements often necessitate cross cluster deployments, as do edge deployments. Traditionally, multiclustering has been done by pulling nodes from various availability zones into a single cluster, with results that are less than optimal because if the cluster fails, the app becomes unavailable system-wide. "What we are announcing is a way to pick an application that you want to deploy, pick a cluster that you want to deploy it on, provide some cluster specific information like credentials, and then just point and click a button and the application gets deployed to these clusters that you have picked," Ankur Agarwal, Rancher's head of product management told ITPro Today. Agarwal said the chosen cluster could be on a public cloud, an on-prem server, or in a colocation edge data center connected to your network. 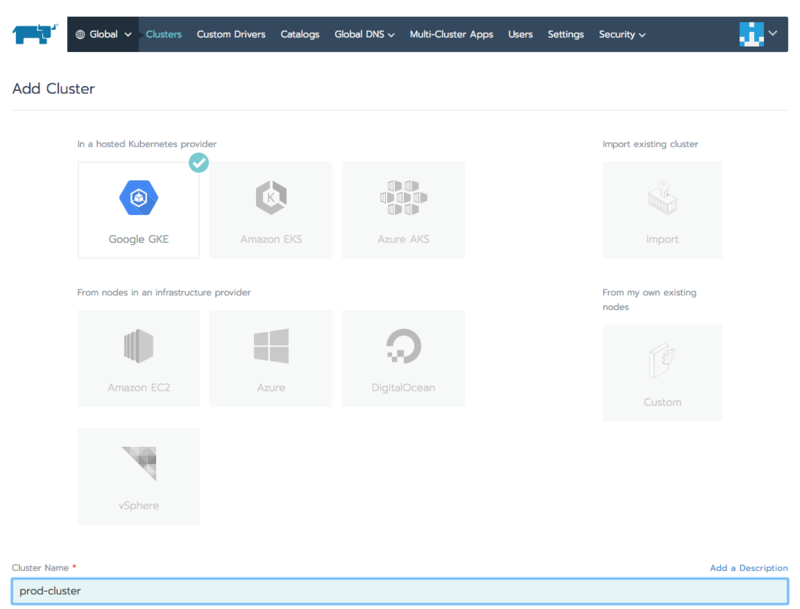 Five-year-old Rancher Labs' platform is built atop Kubernetes and simplifies the deployment and operations of containers between multiple nodes, making the new capability the next obvious destination. It also should also increase its value to organizations adopting a hybrid or multicloud approach. "You have a single pane of glass," Agarwal said, noting that Rancher only needs installing on a single machine, "that becomes your command center. You are deploying clusters and using this platform to update your app in any cluster running on any infrastructure of your choice." The platform comes with out-of-the-box support to take full advantage of major clouds including Amazon Web Services, Google Cloud Platform, Microsoft Azure, VMware, and others. According to Rancher's website there are currently over 21,000 live deployments of the platform running 2.3 million containers, and the company's co-founder and CEO, Sheng Liang, told ITPro Today there have been over 200 million downloads. The software is free to download and use, with Rancher making its money using the Red Hat model of selling support. "It's growing really fast," Liang said. "A lot of people use this because it's 100 percent open source and it's really easy to use." The company also develops RancherOS, an extremely lightweight version of Linux for hosting Docker containers that includes only the minimum amount of software needed to run Docker.